Peña-López, I. (2017) “Article. 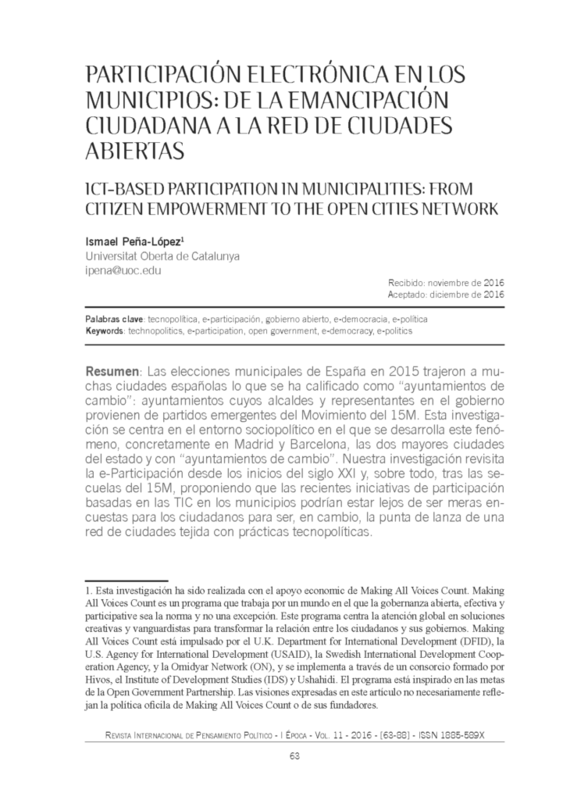 ICT-based participation in municipalities: from citizen empowerment to the open cities network” In ICTlogy, #164, May 2017. Barcelona: ICTlogy.